Pervasive electoral fraud, election manipulation, vote rigging, and other forms of illegal interference with the process of February and March rounds of elections are unpardonable, unacceptable, criminal and stand rejected, Chairman, North-East Zone, Save Nigeria Democracy Group, Comr Shehu Bukar has said. Bukar, who spoke with newsmen in Damaturu on return from a protest match in Abuja noted that. the elections at all levels were characterized either by increasing the vote share of the ruling All Progressives Congress candidate, depressing the vote share of the rival candidates, or both. “And since all kinds of election fraud are outlawed in Nigeria’s electoral legislations, and are in outright, violation of general laws, they become technically illegal, morally unacceptable, outside the spirit of an election and in violation of the principles of democracy,” Bukar said. He added that, in the Presidential and National Assembly elections, the discovered electoral fraud has the effect of a coup d’état and corruption of democracy. “In the narrower state elections of March 9, the amount of fraud revealed which drastically changed the result and affected the outcome can equally have a damaging effect, if allowed to stand, as it can reduce voters’ confidence in democracy. “This ignoble act of dishonestly organizing elections to get a particular result amounts to desperate electoral fraud and an interference with the election process which must be condemned, rejected and resisted by all,” he stressed. 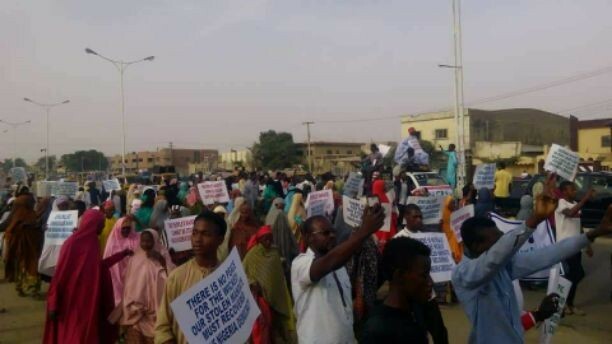 He disclosed the Save Nigeria Democracy Group is committed to ensuring that this fraud is not allowed to stand by exploring all available democratic windows for resistance which includes calling for a nationwide protest. “We ask all Nigeria’s international friends to show support for the sustenance of our democracy by openly condemning the sham elections and holding that the current APC administration is incapable and indeed unwilling to further entrench democracy through fairness and justice,” he said.